Late last year, I came across the news of a Malaysian woman getting severe allergy from using a fake Nature Republic 92% Aloe Gel. To say that I was scared shitless that my favorite moisturizer was getting counterfeited may sound like an exaggeration but that’s exactly how I feel about Korean cosmetics getting faked. It’s already difficult enough to try not to buy fake US cosmetics; counterfeit Korean cosmetics are much harder to recognize! I first encountered fake Korean makeup when I was in college. At the time, Etude House was the household name for Korean cosmetics, but they only had a few items in store. A trip to Divisoria painted a very different story: they had a much wider selection of "product offerings" with enticingly lower price tags! To think that this was years ago, before K-dramas dominated prime time and barely anyone knew what an oppa is. With the Hallyu wave peaking in local pop culture, it's not hard to imagine how rampant fake Korean cosmetics are now. So how can you avoid them and the risk of exposing yourself to toxic products? Language barrier is one of the major factors that make it hard to spot fake Korean cosmetics. We’re generally (I hope to high heavens) very dependent on tags and labels, checking for misspelled words or descriptions that don’t make sense. Obviously, this is only works when you have a good grasp of the language and can actually read the labels. While some K-beauty products do have English translations, most are still in Korean or are written in Hangul, making it harder for non-Koreans to tell the difference between counterfeits from originals. But it’s not impossible. Tip #1: Accept reality. If it’s too good to be true, it probably is. If you’re an advocate for not supporting replicas, Class As, overruns, or mislabeled cosmetics, you’ve probably thrown these famous words to a few of your friends who are thinking of succumbing to "the dark side" because makeup is much cheaper there. They may rolled their eyes at you or even gotten mad at you for not being considerate of their budget, but let me tell you: that’s totally okay. You keep speaking up, girlfriend, because that’s gonna save lives someday! In general, dirt-cheap prices is a dead giveaway to identifying a product as fake. Assuming the seller is being truthful at least about his/her pricing, if a product is priced way, way lower than in stores or when converted from Korean won sale prices, it’s most likely fake. While we all want to score that super slashed off priced tag, the risk of getting an allergic reaction and possibly endangering your life to save a few hundred pesos is just not worth it. One good example is the famous Nature Republic Aloe Gel. A tub at mall stores usually cost about P250, and the cheapest (sale) price I’ve seen is from Althea at P180. Its Korean price is 4,400 KRW or about P200, but online sellers sometimes sell these for as low as P30 to P50! You don't even need to ask for a "legit check" to know those tubs are fake. Tip #2: Move beyond the language barrier by using apps and studying the packaging. Tellie did a great article detailing how to read Korean product labels without knowing a word of the language, plus there's the option of getting help on your mobile phone! Brandsafer, Hidden Tag, and Papa Recipe S (for Papa Recipe masks) are three apps (available for Android and iOS) that can be used to check the authenticity of Korean cosmetics. You just need to take a photo of the product seal or input the product code to verify whether an item is authentic or counterfeit. However, you can’t use the apps for everything as not all brands and products have security seals. If this is the case, you can play spot-the-difference with the packaging design. Fake Korean cosmetics may have the same cute prints and colors as authentic products but a careful eye can spot missing characters if you have access to the originals. That doesn't mean having the exact same product on-hand; you can check in official mall stores or brand-released images online. Following brands on Instagram or Facebook also helps you to stay updated for the newest releases or changes in packaging. Tip #3: Research on how the product should look/feel/smell like and its expected performance. We mostly talk about how to avoid purchasing fake cosmetics, but what if you receive products as a gift? It would be rude to question the giver about the item's authenticity so graciously say thank you and discreetly hold off on trying the product until you can do some research. The Internet and fellow beauty enthusiasts are your friends! Read more about the product and consider if the physical descriptions match. Most blogs also include photos so check if the packaging is exactly the same. If it feels or smells off despite being new, or the packaging has discrepancies like lost characters or misspelled names like WATER TNIT, it may be better to just treasure the gift as a keepsake rather than a new addition to your kit. Tip #4: Play it safe and stick to the obvious. Thanks to importation, Korean cosmetics can be pretty expensive, especially for brands with mall-based stores. It's certainly more appealing to buy from online sellers at "marked down" prices but please please please, just don’t risk it. If mall prices are much too expensive, purchase instead from authorized distributors and official stores such as AltheaPH, BeautyMNL, and The Skin Care Curator. Their prices are often pretty close to Korean prices and you can be sure of the authenticity, plus you don't have to wait for pre-selling orders and can expect to get reliable customer support. Don’t scrimp on a few pesos and put your life at stake and always do your research so that you can easily pick out the fakes when shopping online and even when you’re at bazaars. 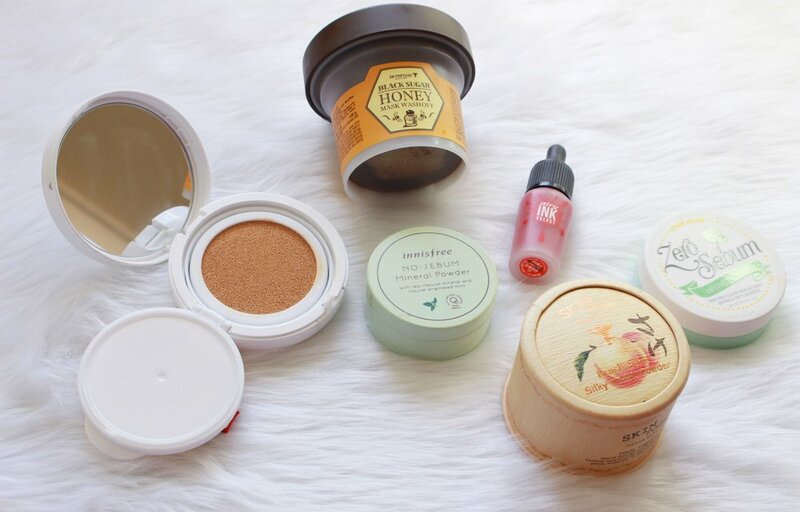 What’s your trick in picking out fake Korean cosmetics?